The most widely eaten meat in the world! Low in saturated fats and cholesterol and high in protein and iron. Our goats are naturally raised on pasture, bush and small amounts of grain. Free of antibiotics. They are rotated to new paddocks of pasture and bush every week or two. Experienced consumers say our goat meat is much milder and more tender than goat meat that they are used to eating. 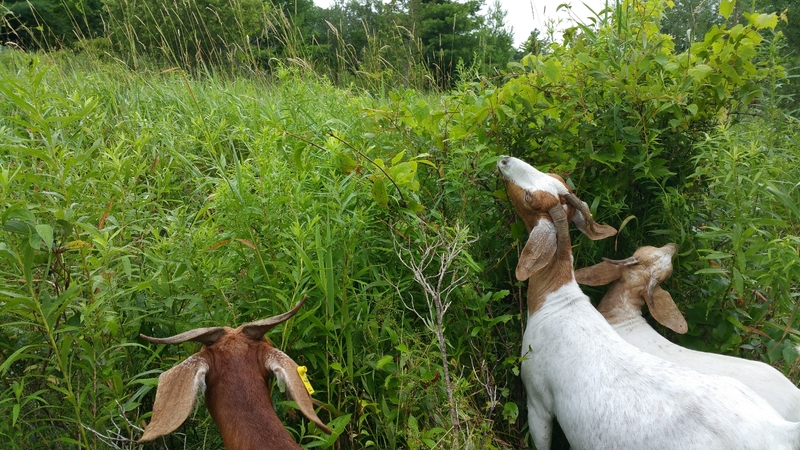 Our goats are out of door every day, enjoying bushes, weeds and grass. They are rotated to a new paddock every week or so to ensure a fresh diet.